Mr. Aguinaldo is a distinguished, combat proven, Aircrew Instructor/Evaluator with 22 years of active duty service. CV-22 Courseware SME, directly responsible for technical training accuracy according to Air Education and Training Command (AETC) & 58 Special Operations Wing (SOW) flight training syllabus/courseware. Duties; oversees initial qualification, re-qualification, transition, and instructor qualification training for aircrew positions on the CV-22 Tilt Rotor, with past experiences on the HH-60 (Combat Rescue), UH-1N (DV/ Missile Silo Support) and MH-53 (Special Operations) helicopters. Ensured all flight-training objectives were delivered, as per syllabus guidelines. 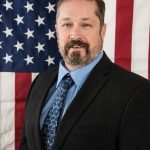 Past management and supervisory experience directly related aircrew training and combat operations while active duty; exceeds 20 years in managing highly skilled Special Operations and Combat Rescue aircrew. Aerial Gunner Instructor/ Student Resource Monitor – Managed MH-53 Aerial Gunner flight training program. Advised commander to student progressions according to a $4M fiscal year flying hour program. Coordinated with program managers; syllabus of instruction revision, training change proposals, and syllabus revisions crucial to student training. Monitored/ reported training data and training trends to senior military leadership. Performed classroom/flight technical training (Initial, Re-qualification, Transition and Instructor upgrade courses). 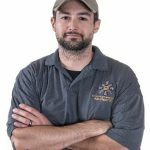 Career encompassed numerous combat deployments throughout career (Operation Denied Flight, Operation Southern Watch, Operation Enduring Freedom, and Operation Iraqi Freedom). One of 6 crewmembers awarded the 2001 Mackay Trophy for most meritorious flight, Afghan rescue of 11 fellow SOF crewmembers downed behind enemy lines in a high threat environment. Authored, and executed the Small Arms Combat Mission Training; successful program used to launch AF Weapons School small arms course. Head RSO for 20th SOS, led aircrew proficiency training on M4 rifles, M203/M79 grenade launchers, M9 pistols, and M870 shotguns.